It’s the middle of the night, and a group of Goshen College students are finishing up a game of Dutch Blitz in the dorm lounge. They pick up their cards and walk back to their rooms. Goodnights are said, doors are shut, and soon, and all is quiet on the floor –– except for the faint hum of overhead lights. Seconds later, the floor still empty, the lights flick off. You see, Goshen College employs “occupancy sensors” which automatically shut off power where it’s not needed. This smart lighting dramatically cuts the college’s energy output and, of course, their monthly bill –– just one of the many ways Goshen College is becoming a leader in energy efficiency and sustainability. The push toward a cleaner campus is thanks in large part to Sustainability Coordinator and Utilities Manager, Glenn Gilbert. Glenn is an expert in efficiency. 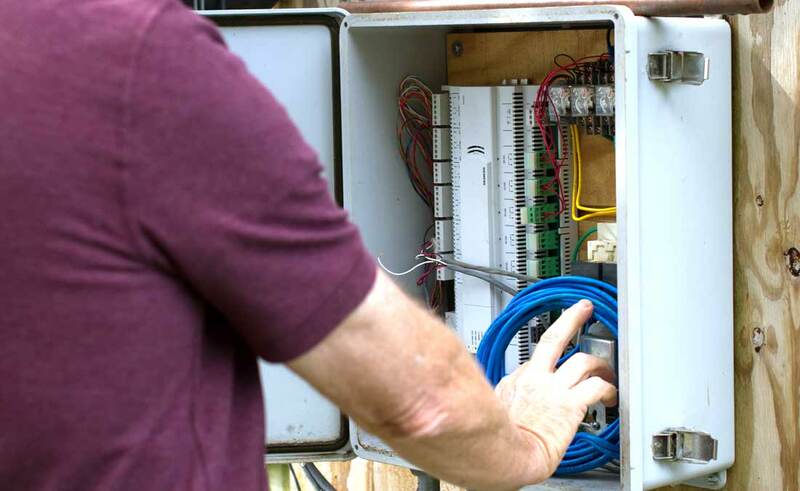 Since he was hired in 1985, he has digitized approximately 90 percent of the college’s energy management so that he can monitor usage straight from his iPad. Glenn has also helped the college cut the energy usage drastically. Since 1992, electrical consumption has been reduced by 10 percent and natural gas consumption has been reduced by 30 percent. This is no small feat when you consider that the campus’ building square footage increased 60 percent during that same period. 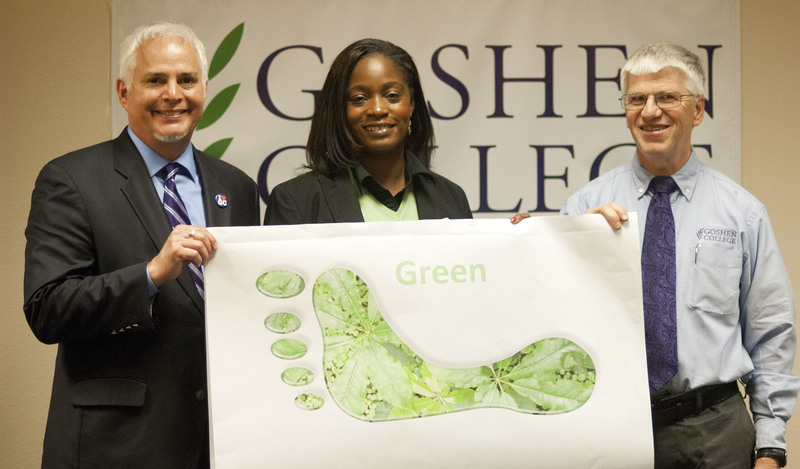 Glenn doesn’t remember a time when Goshen College wasn’t environmentally conscious. The college was “going green” long before it was a trendy catchphrase. According to Glenn, professors in the science department were teaching students about sustainability as early as the 1950s. 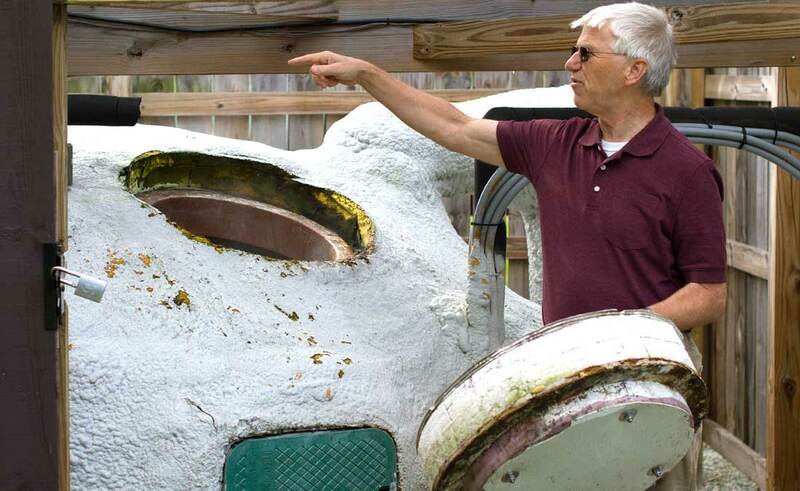 With the acquisition of the Merry Lea Environmental Learning Center and the Marine Biology lab in the Florida Keys in the 1980s, sustainability became even a more important focus of the Goshen College culture. 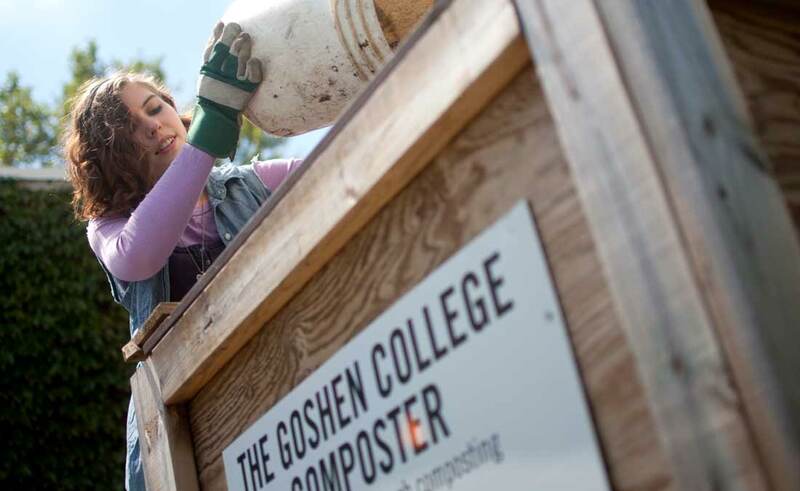 Although the institution has always been environmentally aware, it wasn’t until 10 years ago that Goshen made its commitment to sustainability official. In April 2007, President Jim Brenneman signed the American College & University Presidents Climate Commitment to drastically cut the college’s carbon footprint. Driving that goal home again in 2013, President Brenneman announced that the college would begin purchasing 100% of their electricity from renewable energy sources, such as wind and solar. 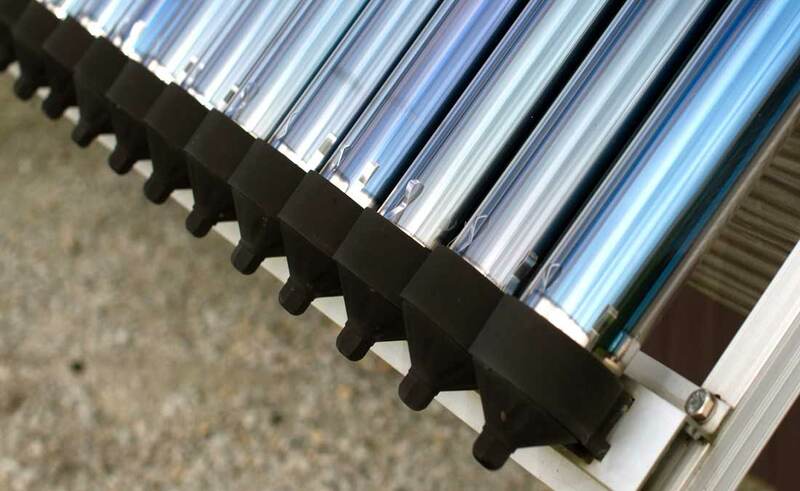 This action would eventually reduce the college’s carbon footprint by 45 percent. In 2015 and 2016, the campus was named an official “Tree Campus USA” by the Arbor Day Foundation, a designation that honors colleges with effective forest management programs that engage in sustainability goals. Then in 2016, the college was given an honorable mention as a “Bike Friendly University” by the League of American Bicyclists, an organization that recognizes colleges that promote and provide a more “bikeable” campus. Impressed? There’s more. 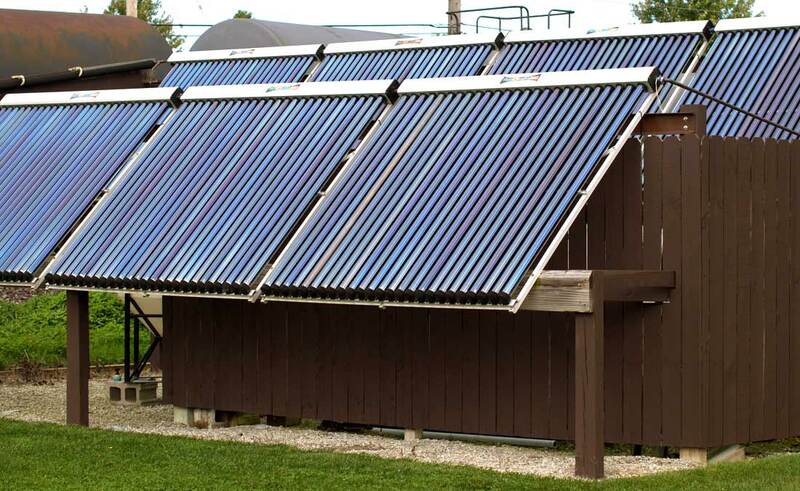 Students and professors in the science department designed and built a solar-powered hot water heater to heat showers in the fitness center; the college harnesses heat via geothermal power in five buildings; the campus maintains 12 acres of native landscaping to cut down on mowing and the use of chemical herbicides; and students manage a composting project to reduce food waste. Then there’s the work inside classrooms. 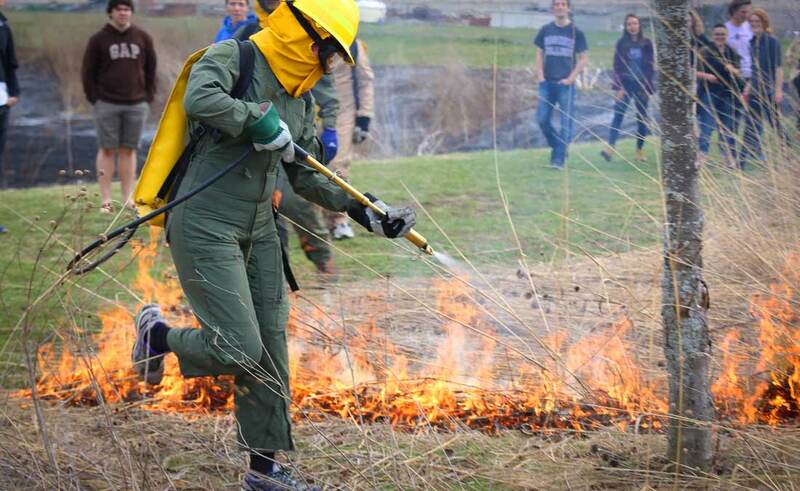 Recently, GC introduced four new sustainability majors. 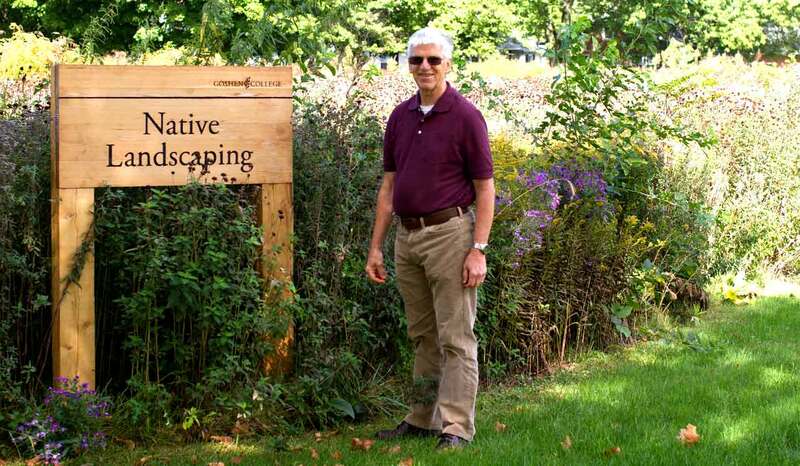 Now, the college offers seven academic programs that center around sustainability, including a master’s degree and two off-campus courses at Merry Lea Environmental Learning Center, the college’s 1,189-acre nature preserve and field laboratory near Wolf Lake, Indiana. It’s not surprising that these initiatives are attracting national attention. 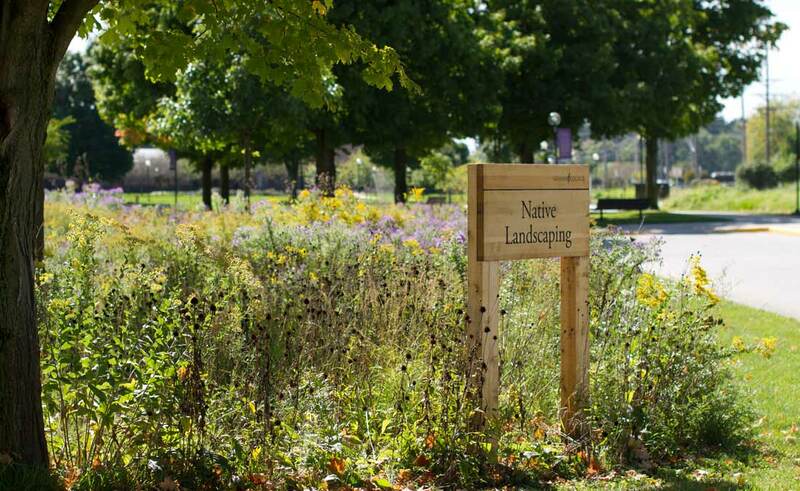 Goshen College has been named one of America’s greenest colleges by both The Princeton Review and Sierra Club. 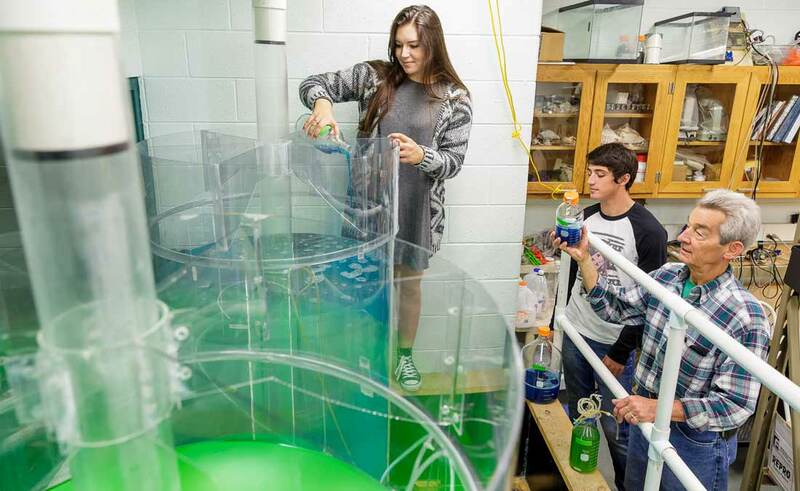 The college’s biggest energy source isn’t solar or geothermal or even electricity. It’s people. 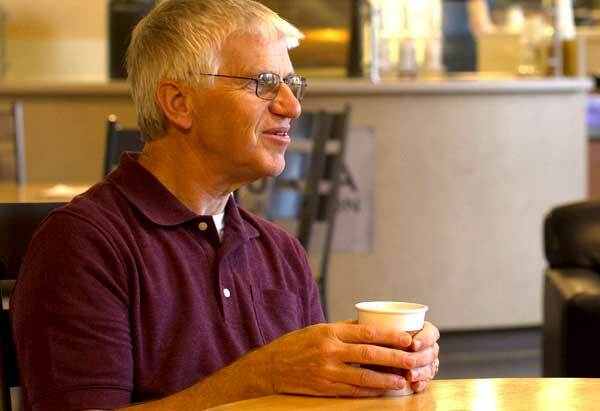 Glenn says that if it weren’t for the bright ideas of students and faculty, campus would not be nearly as sustainable. 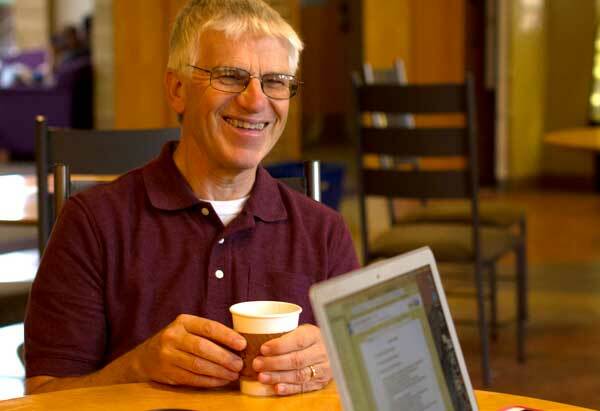 Glenn has supported countless students in taking leadership roles in sustainability initiatives. 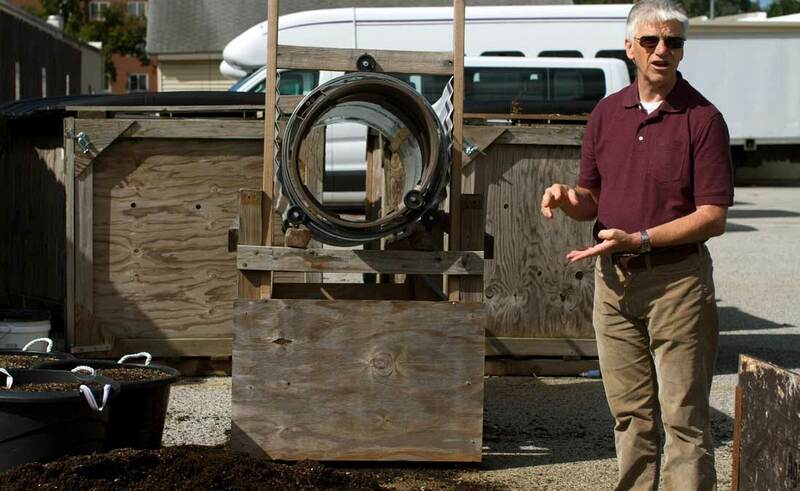 He has offered campus lectures about sustainability and overseen student-led projects like composting and recycling. Of course, Glenn says, the students often have plenty to teach him too. 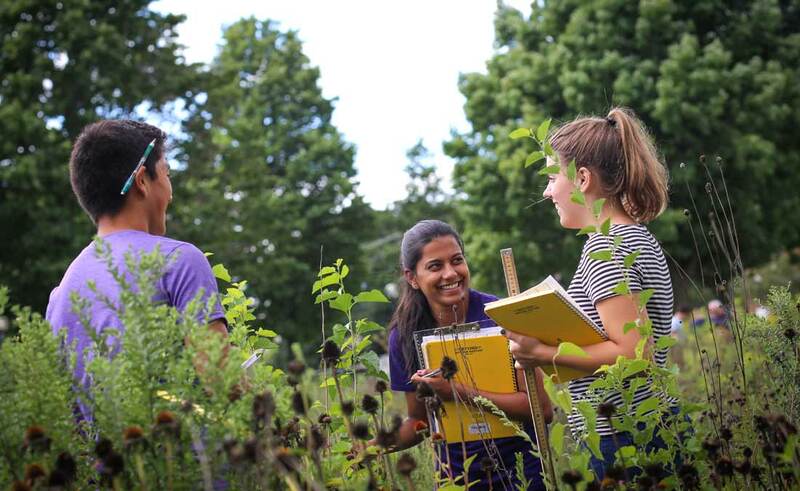 Students pave the way toward a greener campus through the student-led club, EcoPAX, which hosts regular meetings and events that promote ecological awareness and action. Events have included seed-planting, potlucks, documentary screenings, and trips to conferences. Fortunately for the city of Goshen, the college’s drive towards a more sustainable future doesn’t stop at the edge of campus. 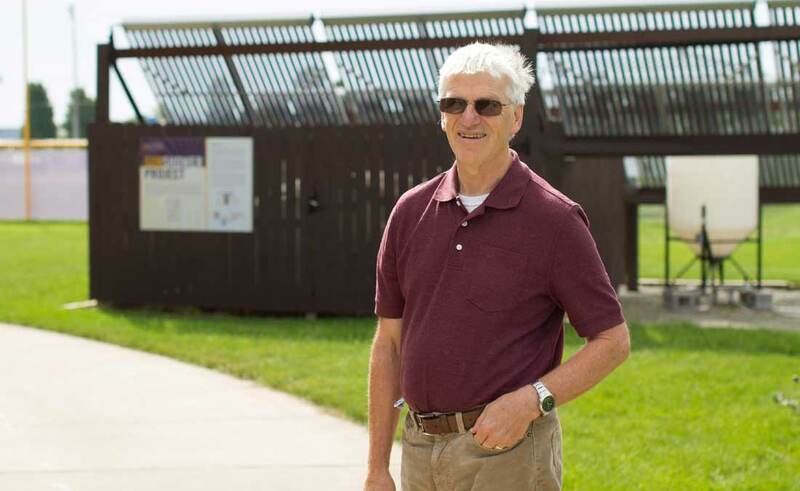 Glenn and a team of faculty, students, and administrators have been able to reach out to the broader community through a group called the Ecological Stewardship Committee. 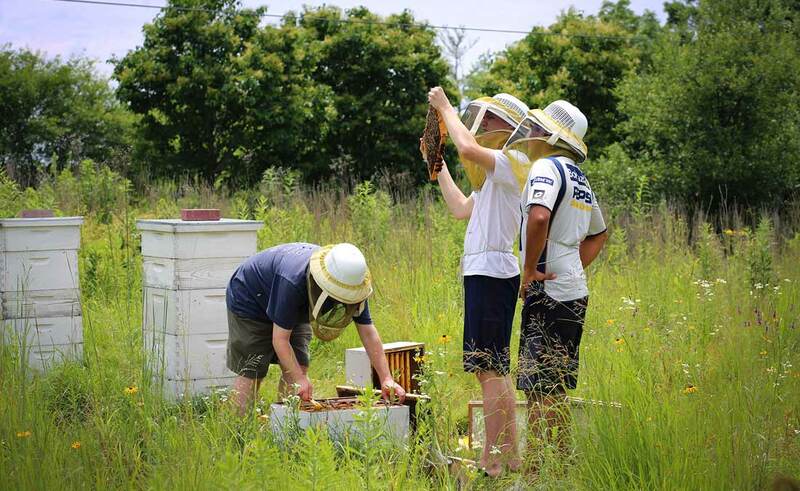 Founded in 2008, the committee leads the campus in efforts to encourage sustainable practices. 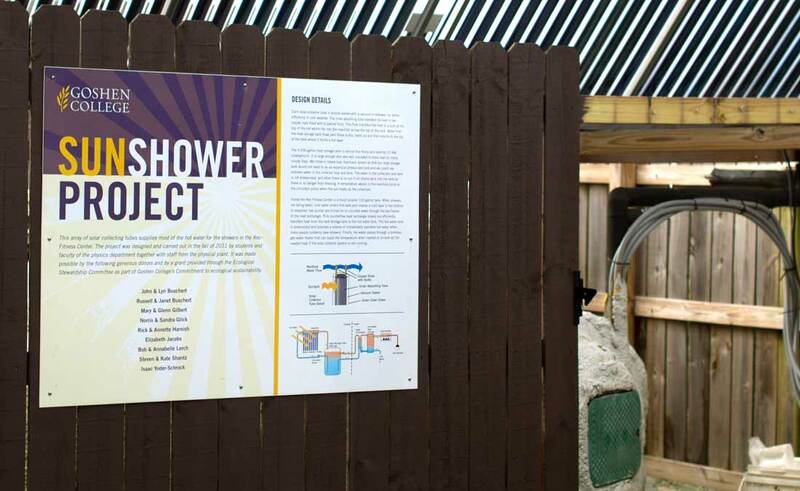 One of the group’s central goals is to promote the broader awareness of Goshen’s efforts toward sustainability. 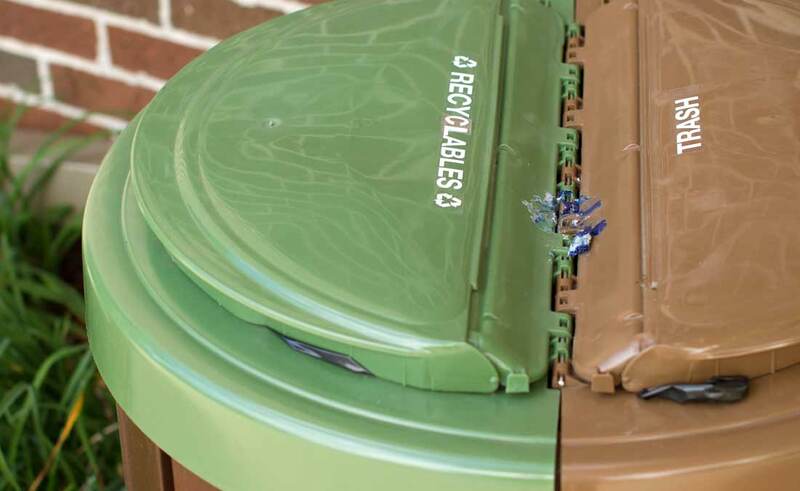 Of course, the college’s commitment to sustainability isn’t without a larger mission. 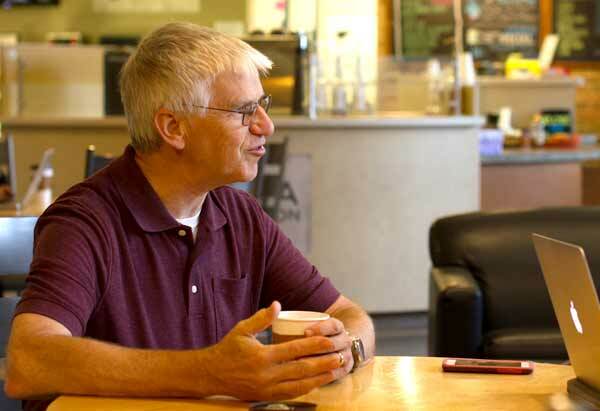 The desire for sustainability grows directly out of the college’s faith foundation. To many administrators, professors, and students, being responsible with their resources is a large part of being a good steward of creation. 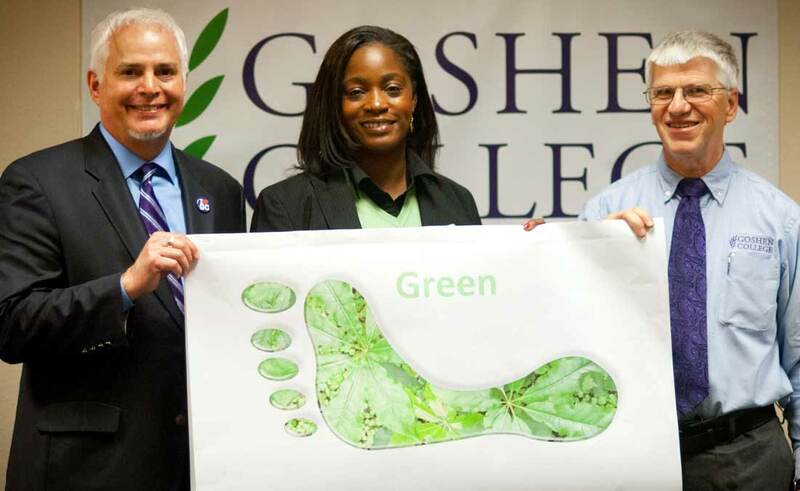 Goshen College recently added four new academic programs that focus on sustainability.